One of our commercial property solicitors is set to make her television debut - but you may not recognise her as outside the office, Louise Clowes takes on a completely different character. "I spend as much time as I can outside office hours cycling round the roads of Shropshire and Staffordshire, and now I've been given a great opportunity to race on television," said Louise. She is taking part in four of the Halfords Tour Series Races which invite Britain's elite female cyclists to compete at locations all over the UK. 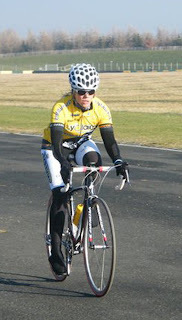 As part of the Inverse/CyClaim RT ladies' team, Louise has raced in Peterborough, and will also compete in Stoke on June 7, Oldham on June 9, and Woking on June 14. "I had previously competed in triathlons and cycling time trials, but I was really looking for something different. 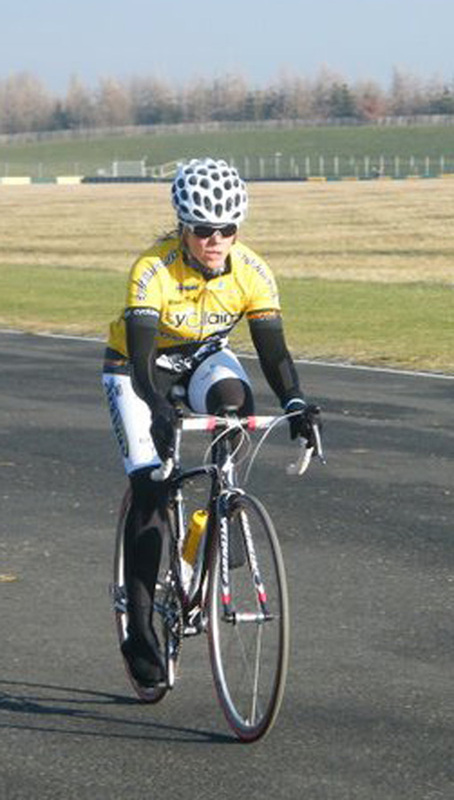 "So this year I looked into road and circuit cycle racing, but I needed to go further afield to find a full ladies team in order to get the chance to take part in some of the bigger races. I competed in my first race at Hillingdon, near London, but it was a very steep learning curve and I was dropped from the back of the pack in about 12 minutes! "But things have improved since then and now I'm really looking forward to the challenge the Halfords Tour Series brings - my team will be wearing bright yellow and black racing kit, so we should be easy to spot!" Shropshire employers who are struggling to cope with staff taking time off sick now have the chance to take up expert advice. We've organised a special presentation at our offices in The Foundry, Euston Way, Telford, on Friday, July 1, at 10am. Our employment law specialist, John Mehtam, who leads our Alpha business team, said there had already been a great deal of interest in the event from local employers. "Many companies are struggling to cope when employees take time off sick, particularly in such tough economic times when they are already operating with a skeleton staff. So our seminar will look at the legal rules and implications involved in the correct management of both short term and long term sickness absence. "The approach to both situations is entirely different, but both must be handled in the right way, and we will help employers avoid the common pitfalls they may face." The Martin-Kaye Alpha team will be joined on the day by leading barrister, David Maxwell, from St Philips Chambers in Birmingham, who is a specialist employment lawyer, a part-time employment judge, and who is recommended by the Legal 500. "This is the latest in a series of seminars run by our Alpha team who specialise in effective and robust advicefor businesses in all aspects of human resources and employment law." Shropshire people are being urged to write a will, after worrying figures showed more than six out of ten don't have one. Fiona Mainwaring, our wills and probate specialist, said research showed that another one in ten people had a will but hadn't told anyone where it was kept. "The research from FTAdviser.com also showed that two thirds of parents with children under five had not made wills, which is a particular concern. Writing a will is considered by some people to be a little morbid or just something they put off doing, but it really is a vital part of everyday life." Fiona said it was extremely important that once a will was written, it was reviewed regularly, especially after a change in circumstances such as marriage, divorce, a house move, or a new baby arrived. "A will can be revoked by marriage or divorce, so the onus is on the will writer to keep their documents up-to-date if their family situation changes. And although home-made wills are available over the internet, it's a key document that can affect the rest of your family's life, so think carefully about whether you're happy to rely on something that has not been drawn up professionally. "A valid will ensures there are no misunderstandings after your death, and that your wishes will be carried out. Don't just assume that everything you own will go to your nearest relatives - if you don't leave a will that's correctly drawn up, you could find your hard-earned savings and property are swallowed up by the Government." 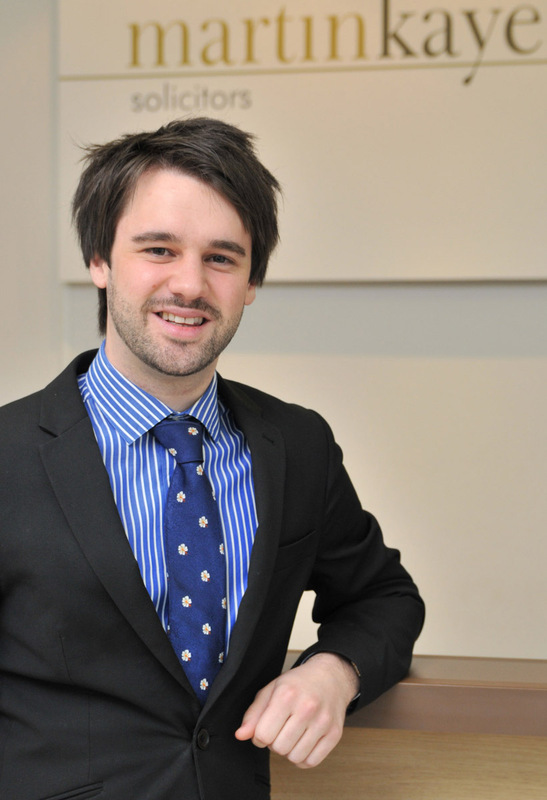 New rules on agency workers are not designed to give them special treatment, just to level the playing field - that's the message from John Mehtam, our employment law specialist. "The much-anticipated Agency Workers Regulations 2010 will come into force in October, but it's vital that employers prepare now and understand the finer details." John said the new legislation meant from October 1, any agency workers taken on by Shropshire companies would be entitled to access all the facilities in the workplace such as the canteen, car parking, and creche from their very first day. "They will also be entitled to information on any vacancies in your company from that first shift. But they will need to complete 12 weeks' service before they qualify for equal treatment such as basic employment rights and conditions. "These rules are not designed to give agency workers special treatment - if there's a waiting list for car parking, they can join it, but not jump the queue, so they don't take priority over your existing staff. And they'll only qualify for the right to equal treatment if they stay in the same role with your company for the entire 12-week period." John said official guidance had been issued by the Government to explain to employers how to identify basic rights and conditions, including pay, working time and holiday entitlement, and pregnant workers. "The guidance still needs parliamentary approval, but this is unlikely to be a problem, so it's vital that employers get to grips with the new rules now - before they take effect." Martin-Kaye LLP Solicitors has welcomed a new legal executive to its commercial team. Jason Round is our latest member of staff - he's a former store supervisor and is now training for a new career in the legal profession. "I'm very pleased to have joined such a progressive firm, and I'm looking forward to the challenges my new role will bring," said Jason. "It's a huge change of direction, but it's something I've wanted to do for so long, that it's now fantastic to have taken the final step into the legal world." Jason has already completed his Institute of Legal Executives (ILEX) Level 3 professional Diploma in Law and Practice, studying at Shrewsbury College, and is now working towards his ILEX Level 6 qualification. "I'm studying at the same time as working every day in the practice, so it's a busy yet rewarding time." Jason is handling debt recovery matters for both business and individual clients, contractual disputes and other dispute resolution cases." 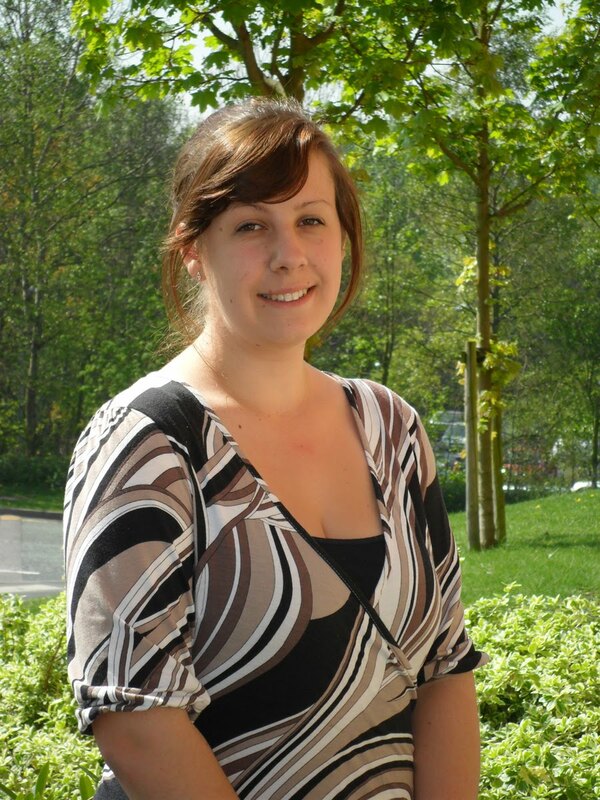 Sophie Boden, from our private property team, has been nominated for a prestigious community award. She's been named in the Special Young Person category in this year's Pride of Shropshire Awards, and was nominated by her father, Calvin. "Sophie has recognised a need for women to feel safe and more confident, while making new friends," he said. 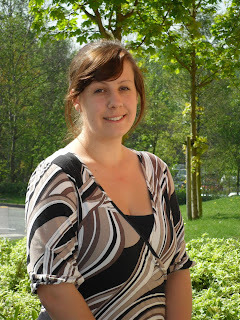 "So, at the age of 19, she gained £5,000 funding, and organised five, six-week self-defence courses for women only, across Telford. While the money paid for the costs, she has spent three months of her own time setting this up and a further six weeks running the classes. "She has done all this while helping me to look after my 15-year-old daughter - her sister - and holding down a full-time job in the process." Sophie attracted over 250 people to her first course, leading to the launch of a permanent class for women which launched last month. She said: "I wanted to set up the classes because I do strongly believe that we can cut the amount of successful violent and sexual attacks against women by giving women the basic knowledge and confidence that they need to defend themselves." Sophie will find out if she's won the award at a special ceremony at Shrewbsury Town Football Club's Greenhous Meadow stadium in July. The Pride of Shropshire Awards are run by the Shropshire Star, in conjunction with Shropshire Council, dairy giant Muller, and a host of other local sponsors.